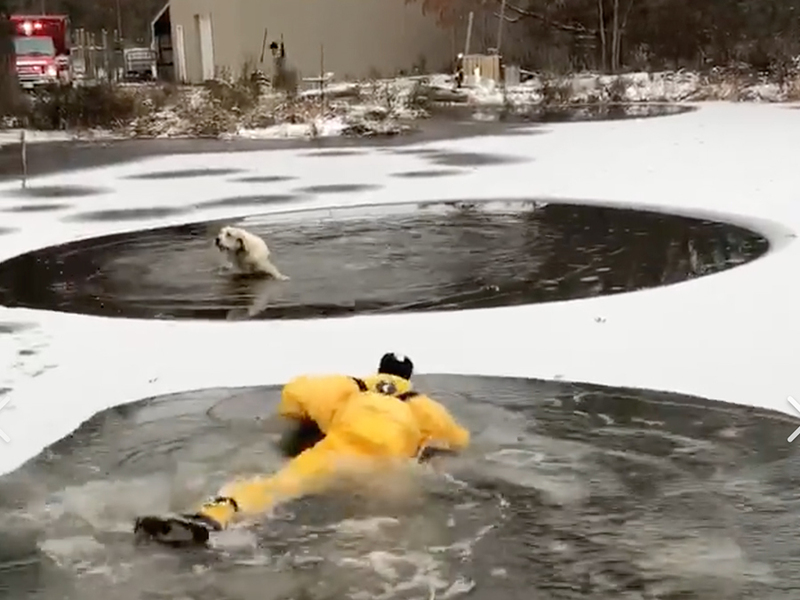 On Thursday afternoon, the Norton Fire Division received a call regarding a dog that had fallen through a layer of ice and into a pond. Within minutes of receiving the call, crews arrived on the scene and jumped into action. Here's a heartwarming story on a cold winter day. 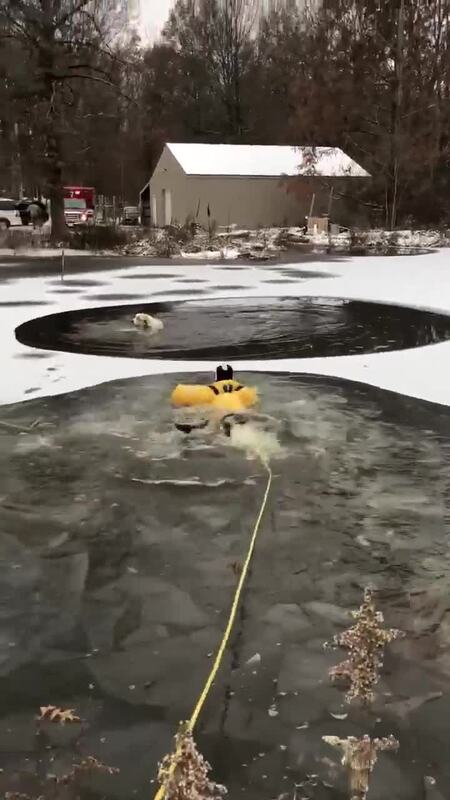 On Thursday afternoon, the Norton Fire Division received a call regarding a dog that had fallen through a layer of ice and into a pond. Within minutes of receiving the call, crews arrived on the scene and jumped into action, Norton Fire Chief Mike Schultz said. "We had no idea what we were getting into until we showed up," Shultz said. Norton firefighters came prepared. As soon as their truck's wheels stopped rolling, firefighter Dwayne Marty jumped in the water after the dog. On the way over, Marty had donned a Mustang Suit, a specially designed jumpsuit for cold water ice rescue. The suit allows a firefighter to crawl over ice with special spikes embedded on it. "Anytime you get into a cold water situation, it can become deadly pretty fast," Schultz said. Marty was able to reach the dog just in time. Assistant Chief Mike Copen and firefighters Josh Lepley, Marcus Council, Brandon Earnsberger and Elliot Dunaye helped pull Marty and the dog back to land with a rope. "It's a feel-good story. There is so much ugly stuff we do and see," Marty said. "We train for this all the time, it was unbelievably smooth." The dog's rescue put a smile on the faces of its owners and the rest of the crew. Firefighters were especially thankful everything worked out. "The guys have been laughing and carrying on all afternoon," Marty said.